WHEN THINGS ARE ‘GOOD’, do we desire more? Do we tenderly nurture and grow our love for God daily or do get a little complacent when things are ‘good’?Growing our love for God has such an amazing impact on our lives and the lives of those around us…but do will we stop long enough to let this notion ‘take root’? Yes, that is how it works… So how much care for, learning about, nurturing, carefully handling and appreciating do you give me? Huh, I wasn’t expecting that. I’ve gotten into an awesome habit of talking to God all day long. Many of us do and I think it is a great thing, a critical part of building a relationship is spending time, even casual time, together. But, is time alone enough? YES, it is enough…And no, in no way, is it near enough. We have to remember, with Christ we are always enough. But, that doesn’t mean that is where God wants us to remain. He wants so much more for us. He assured us that we have access to true greatness, knowledge, power, and insight. However, He gave us free will because He doesn’t want us to be puppets that respond without conviction. So what’s our goal? What’re your goals with your relationship with God? Have you ever even given that much thought? That is the question. Because, like my plant, I can just have God in my life to fix me up and lean into when I’m wilted and falling apart. Or, I can truly invest, with great discipline, into God like I invested when desiring to bring life to my plant. I can give God constant care, nurturing of our relationship, appreciation, and discipline in learning just how to grow healthy and strong in Christ. His request wasn’t mean, harsh, or accusing, it was thought-provoking and it resonated much like a spurring challenge to consider. Let’s each consider how much we invest in nurturing our relationship with God. We’ll do it in the way we consider life in my book. This process is one I hope we all learn to act on. When we are unsettled, doubting, seeking, angry, desiring to grow, hurt and so on…Do this. Stop long enough to truly figure out what is bugging you, then go check on what the written Word tells you about that topic. (Do an internet Bible verses search). Then, consider all the blessings that will come of following the written Word. 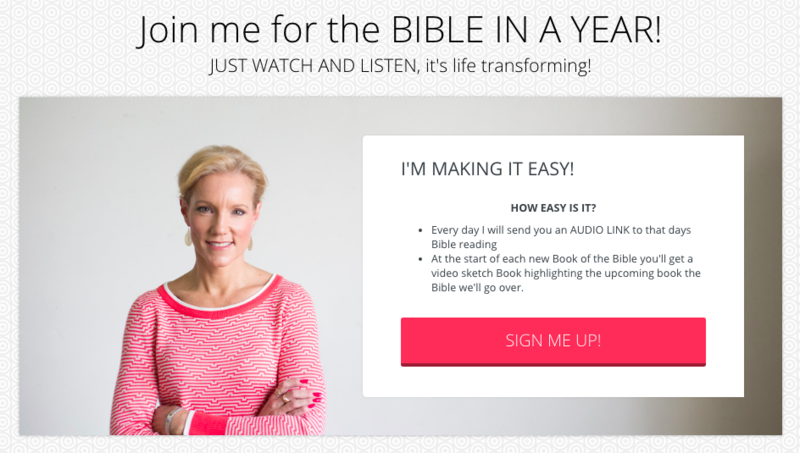 (CLICK HERE to join my free Bible in a Year program) And last, step in and make a choice. *And, remember. Making no choice, is a choice. Consider the Choice: It always comes down to choice now doesn’t it? Let’s take a minute right now to look back on this week. How invested were we in God and building your love and relationship with Him? Do you go all in by praying, being cautious, asking, speaking truth, stepping in, embracing, and acting? No worries if you feel a little lacking here, it’s really quite typical to recognize how we could do better here. But know this, He has so much waiting for you. Let’s step in friends. It’s no accident that this post caught your attention today. And it’s no accident if you feel a nudge. Each day I send your Bible reading to your inbox. It’s short, starts in Genesis and works its way through the old testament and new. At the start of each book of the Bible, you will receive an awesome short video explaining that book in a scene drawn before your eyes. You could do this at night with your spouse or children or at supper before or after a meal, in the car, or even on your break at work. YOU CAN DO THIS!